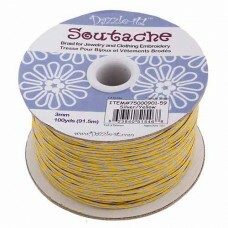 Soutache is narrow flat decorative braid, used for a long time in the trimming of drapery or clothing and often used to form decorative scrolls on Uniforms. 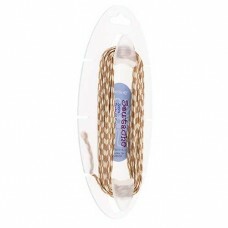 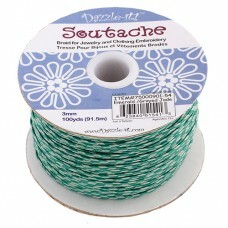 It is used in Jewellery making - normally sewn onto a backing material - with beads and more. 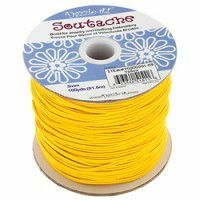 Supplied in spools, by the metre or on convenient to use Nylon bobbins.